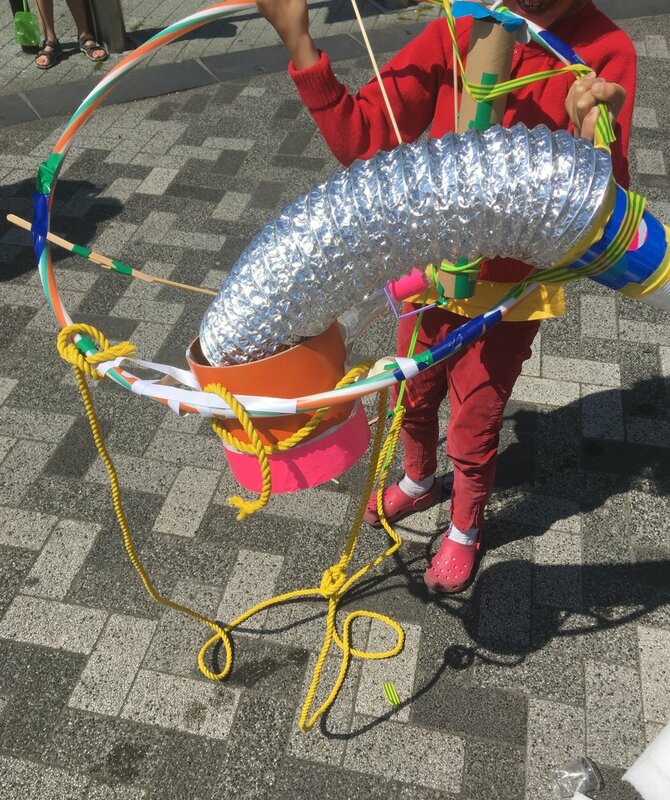 This year Starting With Art worked with participants to create a large-scale musical soundscape with the intent to encourage children and adults create melodies, tones and vibrations that react to the environmental sounds of the day. When a sound wave collides with a surface, it releases kinetic energy, which makes a sound. By introducing families to an array of materials, various sound possibilities emerged. This collaborative sound wave provided both visual stimulation and sensory sounds. Thanks to all who came to Project Light at Parasol Unit. It was awesome! My residency at Villa Lena was spent making, researching, writing and playing. Having the time and space to work on my art practice was so valuable, here's some work I made. Investigating plaster and elongating our bodies. "Project Light is an immersive and intergenerational project in collaboration with early years children, their families and artist Natalie Zervou at Parasol Unit, with the aim to generate meaningful experiences through art and process via playful experimentation with light and shadow. Inspired by the water that features in Elgar Esser’s photographic landscapes, families will be invited to explore this theme further making direct connections to the exhibition". We built a community! It may have looked post apocalyptic but it was brilliant. Thanks to all who came and contributed. Drawing lines and plastic phones!! Yesterday we looked at natural forms and constructed these around our bodies. We became human, moving, living coral, shells, fossils, seaweed etc. I've never seen a group immerse themselves into something so fast, such infectious enthusiasm. I could say so much about the power of embodiment for young children when experiencing art, their senses are SO receptive and they are really able to 'live' what they view.